Hyatt Mountain Lodge is a beautiful non-smoking resort in Colorado. It is known for its breathtaking scenery and other attractions. You can experience skiing, skating and charming restaurants. The accommodations are equipped with the best appliances, relaxing spas and adorned with stunning granite countertops. With a Hyatt Mountain Lodge fractional ownership, you can enjoy visiting Colorado and relax in this beautiful lodge. At the Hyatt Mountain Lodge timeshares for sale, you will experience a chalet that has an old-world charm. It is built from sandstone and rough wood, but it has been equipped with the conveniences of home. It is within walking distance to an outdoor skating rink, several boutiques and restaurants. However, if you prefer to cook, each chalet is equipped with a kitchen and dining area. Guests can expect to be pampered when they choose a Hyatt Mountain Lodge timeshare resale since the guests can be treated to a relaxing time in a spa after a long day of activities. The lodge offers accommodations for up to eight people. The three bedroom and three bath chalet includes a king-sized bed, connecting bathroom and spa tub in the master suite. The two bedroom chalets will feature one room with two twin-sized beds, which can become one king-sized bed, and the other room will have a regular king-sized bed. The rooms include natural gas fireplaces, television and sofa beds. In addition, you will be able to enjoy seeing the view from a balcony located off of the living room. When you buy a Hyatt Mountain Lodge timeshare resale, you are guaranteeing that you have a safe and beautiful place to stay. You will find plenty of activities to keep you busy when you stay at your Hyatt Mountain Lodge fractional ownership. For instance, you can enjoy visiting the Colorado Ski Museum to learn about the history of skiing in Colorado. You will be able to see boards that were used by mountain miners and discover the history of snowboarding. In one room at the museum, you can see how the military used skiing in war time. Videos will be played and viewed in the theater to help you envision the historical and current facts of skiing. You should allow about an hour to tour this museum since it includes photographs and plaques honoring filmmakers and skiers. Another activity can include a visit to the Betty Ford Alpine Gardens. After an energetic day, you will enjoy a place to relax, and the gardens offer a peaceful place to explore. You will find flowering alpine plants, perennial gardens and mountain meditation areas. This botanical garden is one of the highest gardens in North America where you will see around 2000 different plants, a variety of birds and a beautiful rock garden with a spectacular waterfall. Hyatt Mountain Lodge timeshare deals make it easy to visit this beautiful garden. You will not find a more peaceful and serene place to visit. A visit to Colorado can be done at any time of the year. Therefore, investing in a Hyatt Mountain Lodge timeshare resale can ensure that you have a wonderful experience any time that you are free to travel. During the winter months, you can go downhill skiing on more than 50 thrilling trails, or you can choose to go cross country skiing and snow shoeing during the cold winter months. Just be sure to bundle up and stay warm while you enjoy exploring the fabulous slopes in this state. However, with the warmer temperature of the summer months, you can enjoy a day of hiking, horseback riding, mountain biking, tennis or trout fishing. In addition, you can play or watch a championship game of golf at the Beaver Creek Golf Course. You will never be bored at the Hyatt Mountain Lodge no matter when you decide to go. Therefore, if you love energetic activities, you can plan a visit to Colorado to experience the natural wonders of the slopes. 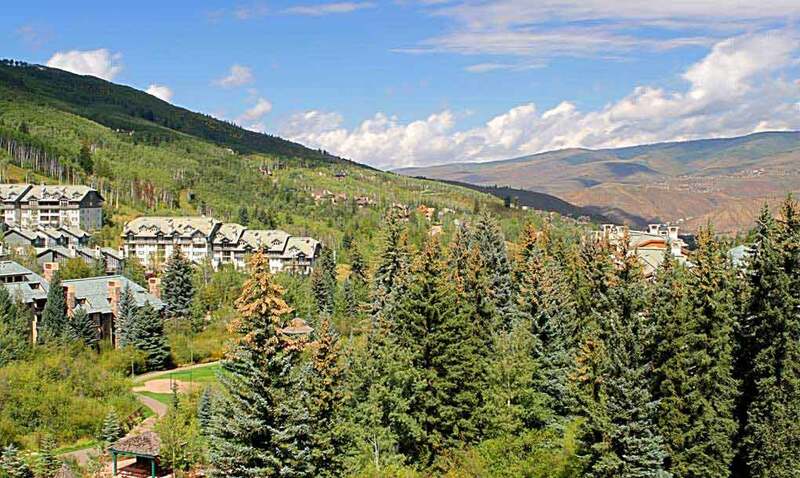 At Premier Timeshare Resale, someone can assist you if you want to sell or buy a Hyatt Mountain Lodge timeshare. With many activities to do throughout the year, it will be easy to sell a Hyatt Mountain Lodge timeshare.